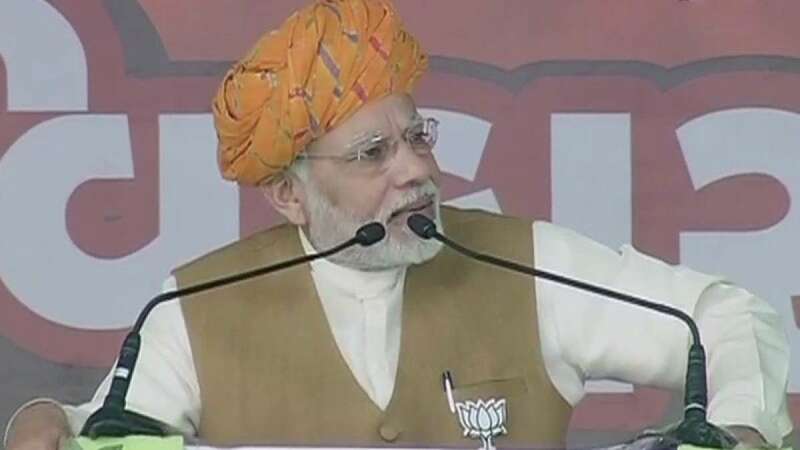 Banskantha : Prime Minister Narendra Modi addressed a public rally in Bhabhar town of Banskantha district in Gujarat on Friday, attacking Congress from various fronts, including floods and Aiyar's Pakistan visit. Mr. Modi claimed that Congress leader Mani Shankar Aiyar asked people from Pakistan to remove 'me from the way'. "Did you go to Pakistan to offer a supari on my head?" Modi was quoted as saying by India Today. He also slammed Congress for being negligent when Banskantha was fighting flood situation this year. "BJP was doing relief work, Congress was busy with resort work, " the prime minister said. His rally was a part of BJP's poll campaign for the second phase of Gujarat Assembly elections, which will go to polls on 14 December, five days after the first phase takes place on 9 December. PM Modi asked, should you vote for the ones who stood with Banskantha in bad times or to those who were relaxing during the time of need.